Super-Charged PPC Ads – Website Magazine – Website Magazine. Running a successful pay-per-click advertising campaign can be a challenge for online retailers. In particular, writing great PPC ads can be a real struggle. With numerous products that have various benefits and varying price points, advertisers often feel overwhelmed when it comes to writing great ads. In this article, we will outline a strategy for online retailers that will help to improve click-through rates, conversion rates and overall engagement of your PPC ads. One of the most important tactics for a successful PPC ad is highlighting the user’s search query directly in your ad. By displaying the keyword in your ad, it will be more relevant and this will result in a higher click-through rate. In order to display the right keywords in the right ads, you need to structure your campaign so that each ad group contains a very tightly themed group of keywords. 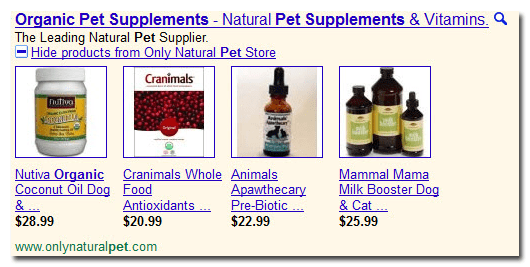 For example, if an ad group contains a few variations of the keyword, “organic pet supplements”, then you can write ad copy that highlights this keyword specifically. To create tightly themed ad groups, you should follow this rule-of-thumb: Each ad group should contain two to four related keywords (and the appropriate match-type variations). With only two to four keywords per ad group, you can write PPC ads that highlight each of your core terms. In other words, you can highlight one product per ad group. This is a common mistake when writing PPC ads. Many ads contain features and not benefits of their products. Your ads should be audience-centric. How will your product or service make the lives of your audience better or easier? What problem or desire does your product satisfy? For example, if you sell treadmills, your ad shouldn’t mention the product weight, where it was made or the various running speeds. Most people looking for treadmills want to get healthy, have more energy, lose weight and look better. Those are the most desirable benefits of owning a treadmill. You may want to review your current PPC ads to see if they are featureor benefit-focused. Displaying prices in your PPC ads can give them a boost. You should test different prices to see what appeals best to your audience. Also, you should try mentioning discounts within your ads. Any specials or sales that are active on your website should certainly be mentioned within your ads. Google AdWords has a very helpful feature called SiteLinks. This feature allows you to display up to four additional text links below your PPC ad. I highly suggest that you take advantage of SiteLinks. With this option, you can write additional texts that display other product benefits — and you can send users to other products or pages within your website. Product listing ads are a powerful feature within AdWords. With this feature, you can display your products directly within search engine results (SERP) on Google. Unfortunately, we don’t have enough space in this article to go into the details of implementation. But, in a nutshell, open a Google Merchant account; upload a product feed from your website to your Merchant account; link your Merchant account to your Ad- Words account. There is a little more to it than this, but if you login into your Google Merchant account, the help section is very informative. If you have a brick-and-mortar location, or multiple locations, you should take advantage of the Location Extensions feature in Google AdWords. With this feature, you can display your company’s location directly on the SERPs within Google. To implement Location Extensions, you will need to link your Google Places list with your Google AdWords account. Trust me, it’s easy! This is a new feature within Google AdWords. You can display longer headlines that will make your ad stand out, which will increase your click-through rate. All you need to do here is to make sure that Line 1 of your ad ends in punctuation (a period, question mark, etc.) — then when your ad appears in the top-ranked positions, line 1 will be bumped up into your headline, and your headline will be longer and more noticeable. The PPC ad below works because it is using the following tactics from our list: feature the product keyword directly in the ad; display price (this is covered by the product listing); expand your ad with product listings; and get longer headlines. The PPC ad below utilizes some other tactics from our list, such as: feature the product keyword directly in the ad; close with a call-to-action; highlight benefits, not features; utilize SiteLinks; and get longer headlines. 5. I am going to click and I am going to buy! You may be thinking that users don’t interact with PPC ads this way. But why not? If your PPC ads are good enough, they will. Now, go super-charge your PPC ads for higher click-through rates and conversion rates. About the Author: Joseph Kerschbaum has been working in PPC advertising, search engine optimization, conversion optimization and social media marketing for the past five years. He is the co-author of PPC Marketing: An Hour a Day and the client services director at Clix Marketing.